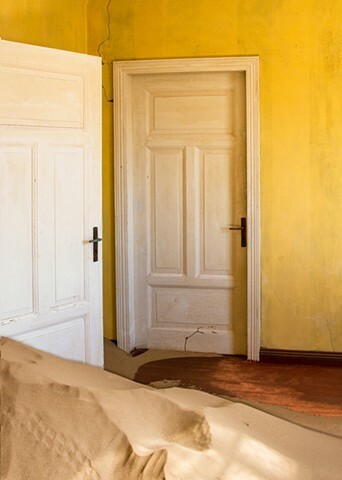 The colours in the rooms of Kolmanskop are amazing, you never know what you are going to see as you round a corner. We spent 2 mornings going through every building on this visit as we don't know when we will go back and I wanted to be sure I wasn't missing any opportunities. The brilliant yellow and white doors almost look like anything you would see in a modern house, with the exception of course, with sand and no window glass.